I really do love bread. I was once quoted on @HayleyToothill‘s blog saying “life tastes better between two slices of bread!”, so it was only a matter of time before I gave in to the temptation and bought myself a copy of Paul Hollywood’s new book, Bread. 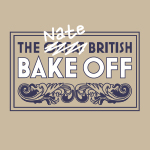 I watched the first episode of his new show in which he baked a traditional white bloomer, (the first recipe in his book) so I thought it’d give it a try too and see how it compared. Pour a little olive oil on to a work surface. Dig the mixture out of your bowl and knead for 5-10 minutes until a smooth, elastic dough is formed. Put the dough in a lightly oiled bowl. Cover with clingfilm and leave at room temperature for at least 2 hours until it has tripled in size. 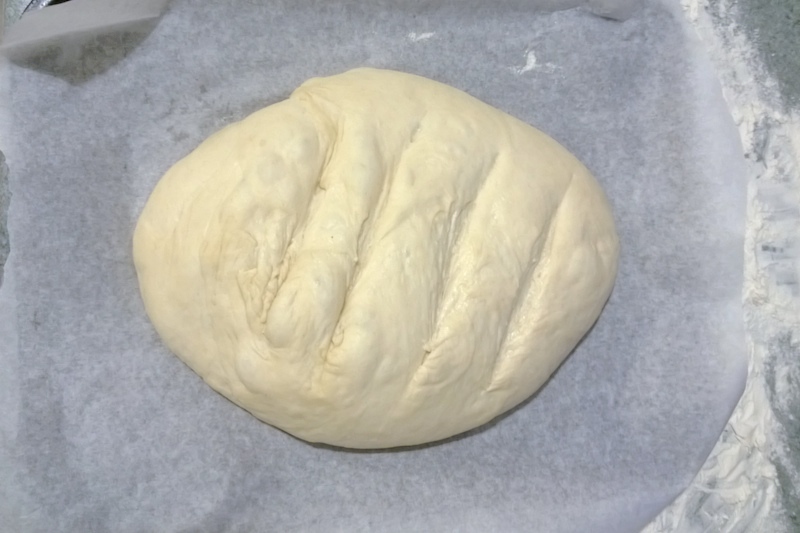 Place the risen dough on a lightly floured work surface and ‘knock-back’ the dough by folding it in on itself and pushing the air out with your knuckles. Do this until all of the air is knocked out and the dough is smooth. To shape the dough into a bloomer, first flatten it into a rectangle with the long edge facing you. Fold the edge furthest away from you into the middle and fold the edge closest to you over that one. 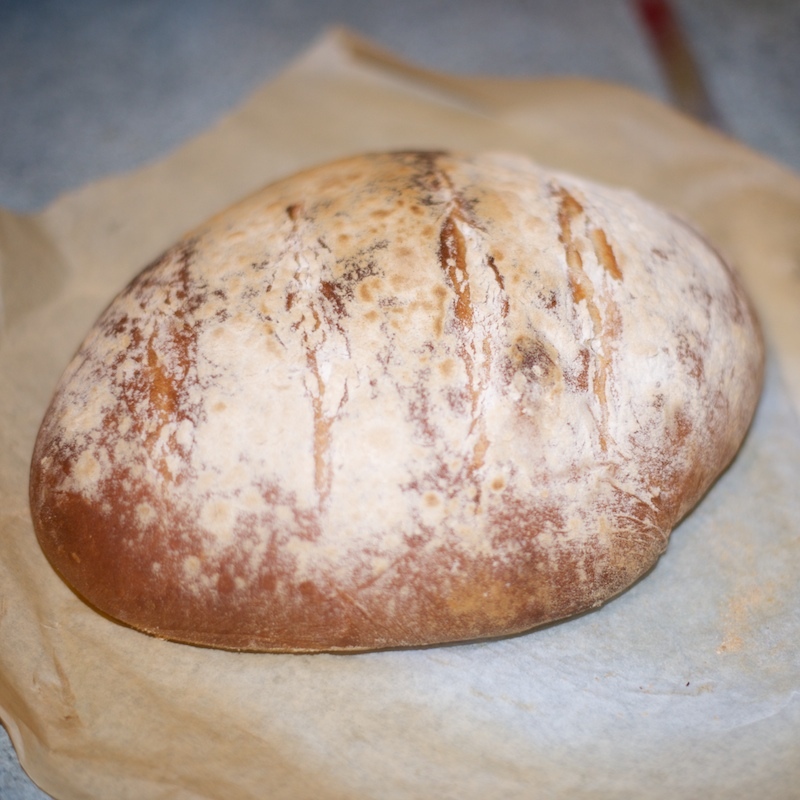 Turn the dough over and turk the ends under rocking gently to form a bloomer shape. Now the bread is ready to prove a second time. Place the bloomer on a non-stick baking tray lined with baking parchment. 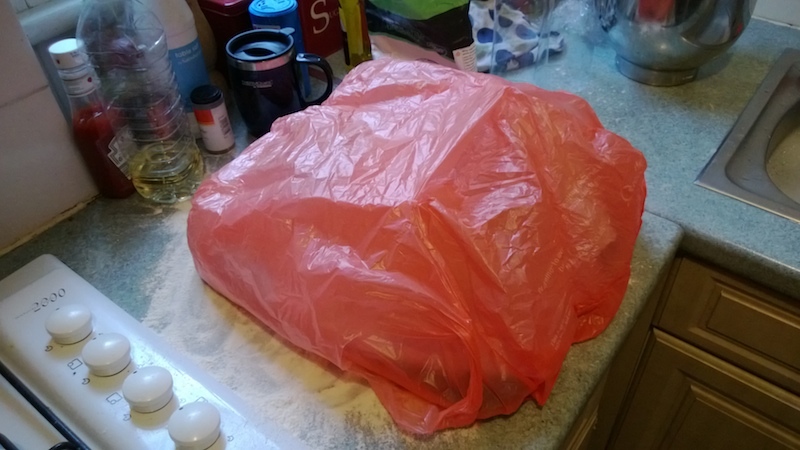 Place the whole tray inside a carrier bag, ensuring enough space above the dough for it to rise. 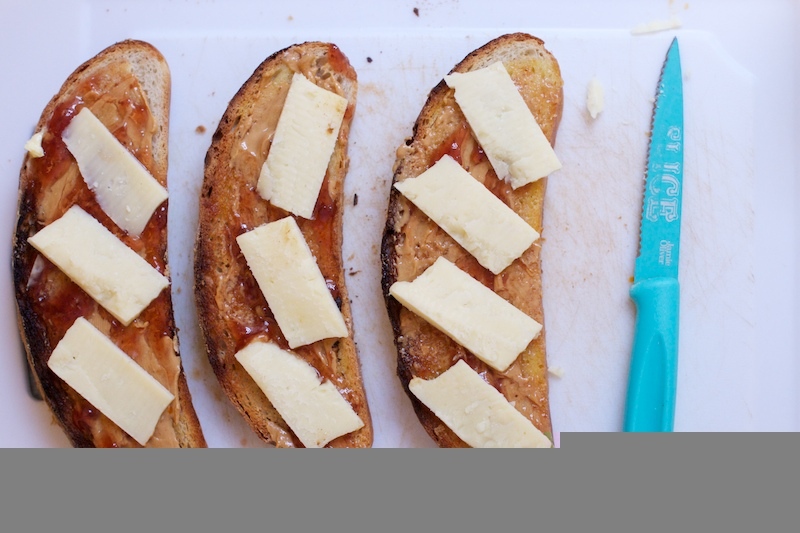 Leave the loaf to double in size for another hour or so and preheat your oven to 220c. sprinkle some water on the top of the bread and dust with a handfull of flour. 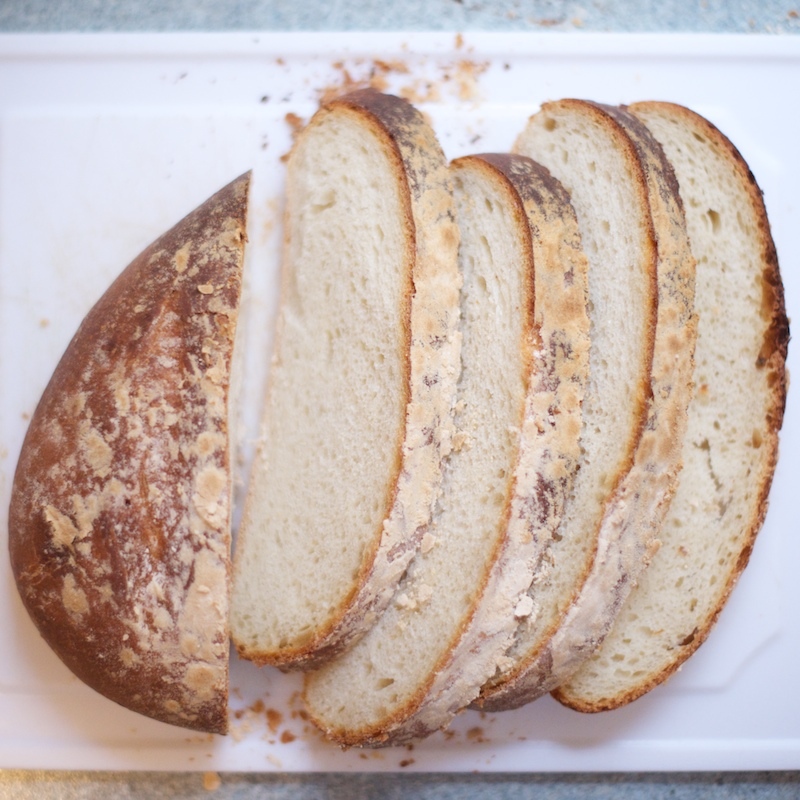 Using a very shape knife, make 4 diagonal slashes across the top fo the loaf 2-3cm deep. Place the loaf in the middle of the oven for 25 minutes. Lower the temperature to 200c and bake for a further 15 minutes. And yes that is butter, peanut butter, strawberry jam and cathedral city. SO GOOD! I’ve been struggling with this recipe for months because I wanted a tall loaf rather than a flat one. 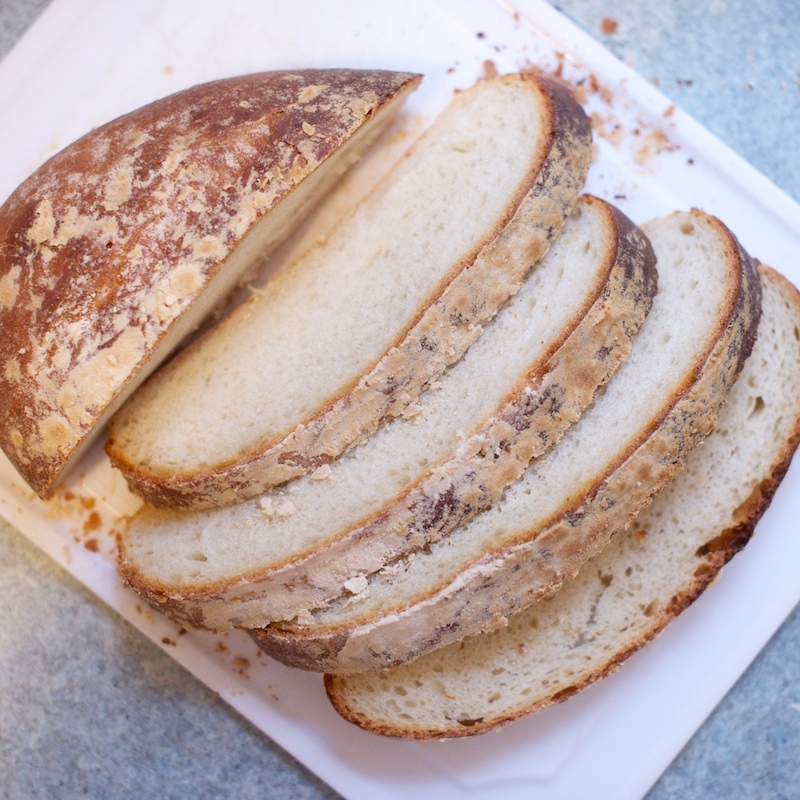 It seems to me as if you’ve had a similar experience so allow me to elaborate on the changes I’ve made that now produce a much taller, more practical slice of bread! 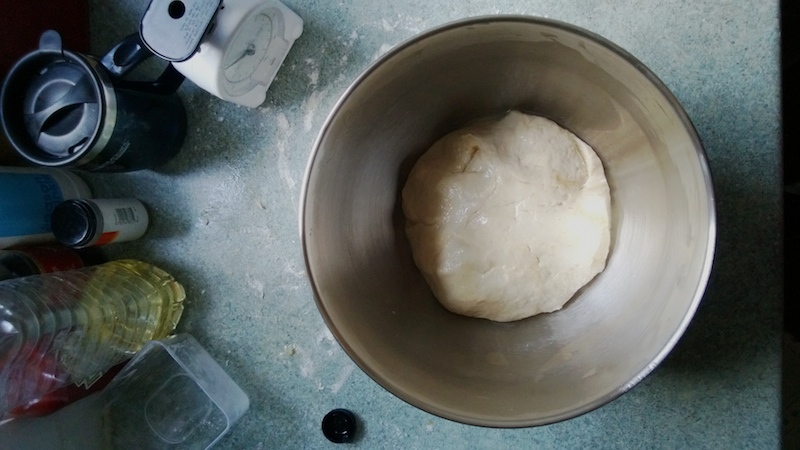 1) Try to stick to the 240ml of water as best as possible, you want your initial rough dough to be JUST holding together. I found that any excess water exponentially increases the chance that my dough would prove outwards instead of upwards. 4) Finally, after that has proved for 2 hours, when cutting the steam vents into the loaf, if your knives aren’t incredibly sharp, the pressure you place on the loaf to cut it could ruin its shape and potential height after baking, so I opt for a very light sawing motions that takes about a 1 minute in total but helps the loaf stay large!